LONG LASTING LED LIGHT SOURCE -- The LED digital based light source shows picture in stunning color and clarity and because the light pulses. Unlike conventional lamp-based projectors, our LED Lamp can last up to 20,000 hours. That means 5 hours a day can last you 13 years. 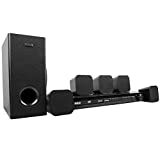 HIGH BRIGHTNESS--This projector is complemented with two 2-watt speakers for precise audio playback. 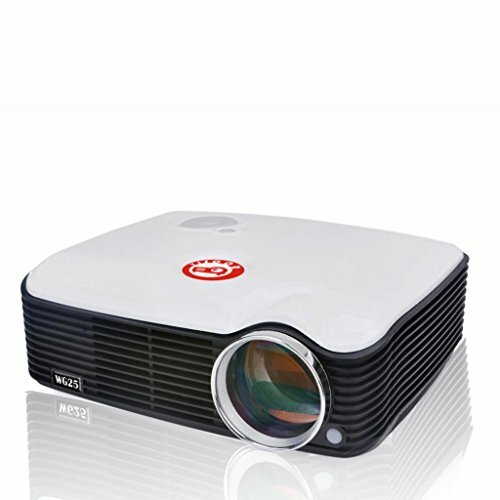 Our Projector can bring quite good projection effect, if you want to get higher brightness and more clear picture, we suggest you to use it in dark. DIGITAL ZOOM IMAGES WITHOUT MOVING THE PROJECTOR-- Want to zoom the images for better vision? Just push the ZOOM buttom on the remote controller to get the size you need, you don't need to move the projector, very convenient. MULTI-PLACE USAGE -- It's designed to make a big impression, turning any setting into your personal presentation or entertainment environment. With 1080P supportable resolution and 21.5-91 inches (Diagonal) throw distance, our projector is suitable for home cinema, office, education, entertainment and many other places. If you turn it on using keystone correction and project the content onto a wall or a screen, you don't have to put the projector in the center. It is convenient since you can use a projector from anywhere in the room. YISCOR WG25 projector is with 2500 Lumens brightness, its native resolution is 800*600, and it supports 1280 x 720 and 1920 x 1080 Full HD. Yiscor WG25 projector brings out the best in any business presentation. 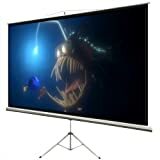 You will have everyone's attention, with a projected image that can be as expansive as 91-inches measured diagonally. Besides being a valuable business tool, YISCOR WG25 projector is ideal for home entertainment, education and so on. YISCOR WG25 is a high-performance SVGA 800x600 DLP projector with 2500 ANSI lumens and 2000:1 contrast ratio. 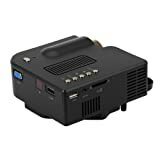 This projector is packed with features including HDMI, multiple PC and video input options, optical zoom, keystone correction and integrated speaker. It supports 1280 x 720 and 1920 x 1080 Full HD. This YISCOR comes with an HDMI cable which can project better resolution image effect. YISCOR® is a famous manufacture here in China which is specialized in research, design and production of LED stage lights and projectors with 5 years experience. All the products are well-accepted by people in China and all around the world.